This course is intended to provide the understanding of basic principles of blood drawing. 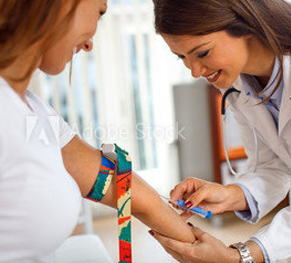 The primary function of the Phlebotomy Technician is to collect blood samples from patients by venipuncture or micro techniques. The Phlebotomy Technician facilitates the collection and transportation of laboratory specimens, and is often the patient’s only contact with the medical laboratory. A Phlebotomy Technician also draws blood for transfusions, donations and research. Students practice blood drawing on each other and sometimes on an artificial arm. You will study identification of color coded tubes, common sites of venipuncture and skin puncture, universal precautions, isolation techniques and handling the specimens for accurate results.